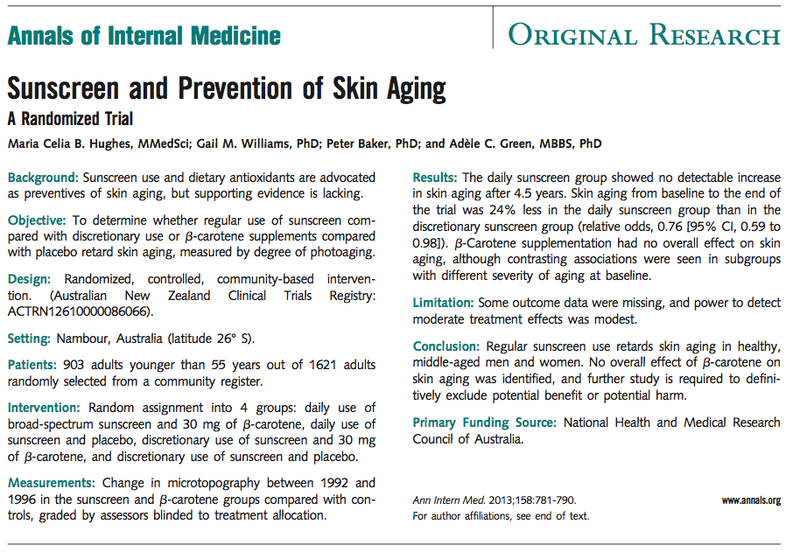 Daily sunscreen use prevents signs of skin aging! This isn’t anything new. Dermatologists have known about this for a while. But now we have great evidence to support it. So not only is safe sun practice important to prevent skin cancer, it also makes you look better! Subjects that used sunscreen, had 24% less aging of the skin! Those that used sunscreen daily had the best outcome. This is exactly why I recommend daily sunscreen use with SPF of 30 or higher.